Courtesy of Dixie Rapuano, RE/MAX West End. 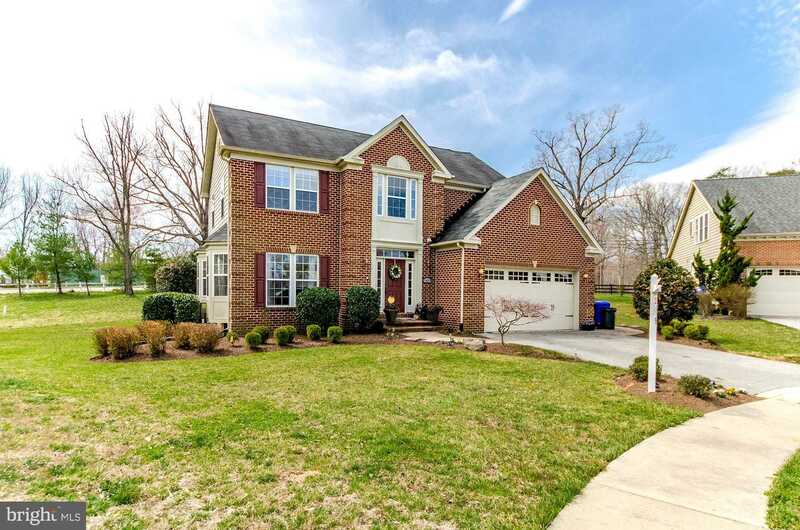 4 bedroom/3.5 bathroom beautiful colonial with 2 car garage on a secluded cul-de-sac in sought after Brentwood! Enter into a bright & open foyer offset by spacious living room and dining room. Host holiday meals in the huge kitchen, dine in the light-filled sunroom, and entertain in the family room equipped with surround sound just off the kitchen.The patio off the breakfast room is perfect for entertainment. 4 bedrooms on second level, including vaulted master suite with large walk-in closet and master bathroom, comprising a soaking tub and separate shower. Finished lower level with large family room, recreation area, and full bathroom. Room that can be used as an office or exercise room. It’s the perfect home for you! Minutes from downtown Waldorf, shopping, Bennsville park and the Indian Head Rail Trail. Convenient to route 210, 301 and route 5.